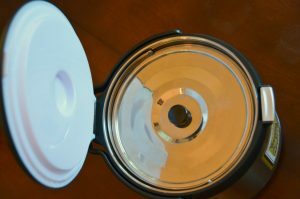 Before we get started with recipes and fangirl excitement about my new favorite kitchen tool, we should probably talk about what it is. Notice I said “kitchen tool” because it’s more than a pot, but I’m not sure if it counts as an appliance if it doesn’t use electricity. For now, it’s a tool. 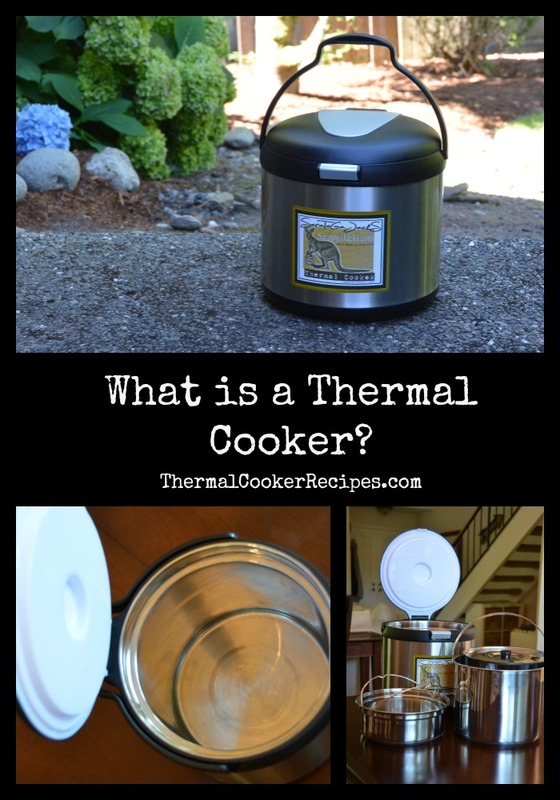 A thermal cooker is an energy-efficient device that uses thermal insulation to continuously heat and cook food without the need for a constant heat source. Basically, you heat your food at a high temperature for a few minutes in a metal pan. Then you put the entire metal pan in a giant thermos, and the food continues to cook for several hours. It’s like a slow cooker but portable and with less total energy consumption. I recently used it at a family reunion to cook overnight steel-cut oats for 25 people. We were out at a cabin in the middle of nowhere. When my husband’s grandma saw it, she told me that cowboys used to do something similar to cook stew underground while they were out working all day. The men would heat rocks in the fire and place them in a hole in the ground. Then they would put their stew pot in the ground with the hot rocks and cover it. When they came back that evening, the food would be done. 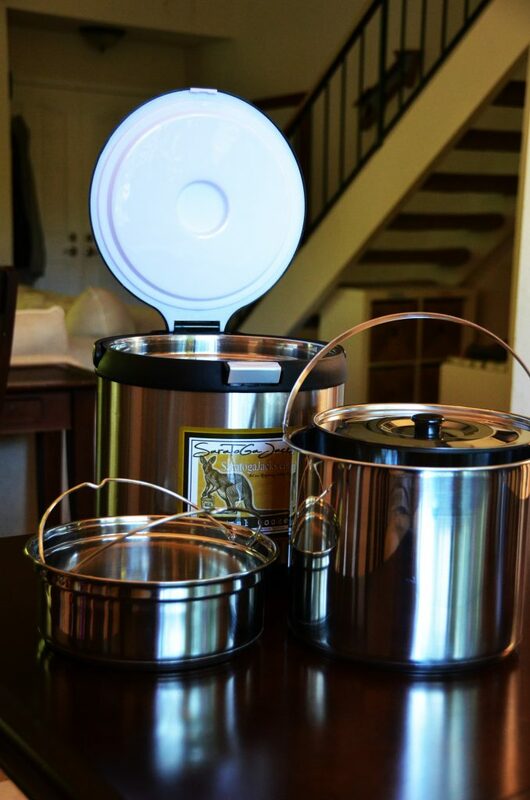 Thermal cooking saves energy and provides a convenient way to take hot food on the go. All thermal cooking should be done according to manufacturer’s directions to avoid food spoilage and food poisoning. Food needs to be kept at a high enough temperature to avoid foodborne illness. 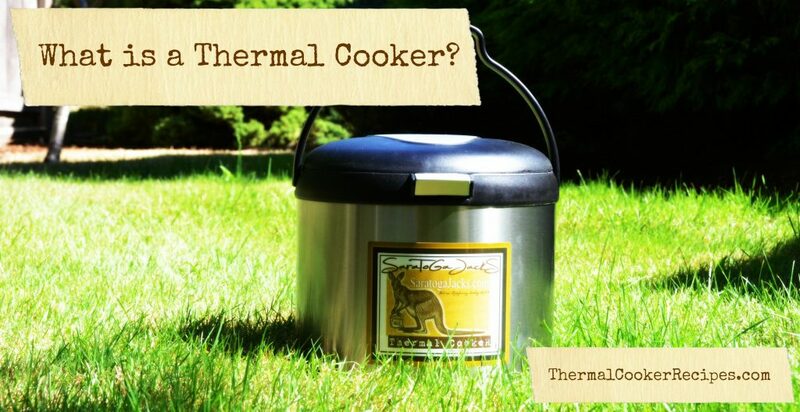 Go here to buy your Saratoga Jacks Thermal Cooker today!